This is perhaps the weirdest and most extreme of Copernicus’ albums. There are sections here that don’t work all that well for me, and I’d consider myself a fan. Still, there is plenty here to like, too. This would definitely not be the album to play for someone if you wanted them to discover Copernicus, though. For the rest of us, if you like him, this is worth owning for sure. 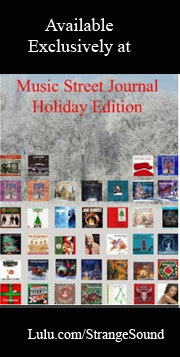 There are plenty of other discs in his catalog that you should get first, though. 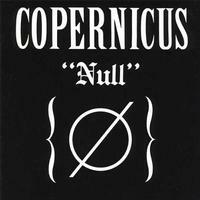 Of course, for those who like really freeform Rock In Opposition styled music, this might be the best Copernicus album. That’s just not my flavor. This rises up gradually with atmosphere. After a time Copernicus’ voice reaches a level above this. The music continues to climb, as does the voice. Some serious space music emerges as this works through. Near the end this gets loud and quite chaotic. Then it drops down to some particularly sedate sounds to take it out with a pretty space rock vibe. Starting with tuned percussion sounds, this comes in chaotic and weird. It’s a bit like something Frank Zappa would do. Copernicus screams over the top as this continues to build forward in a freeform RIO type arrangement. There is sort of a false ending, but then it comes back up and starts working out from there in a very psychedelic freak-out way. Horns bring some jazz to the mix. At times there are some female vocals on this and it really evolves into some nightmare like sounds later. As it gets more melodic (mind you with Copernicus still sneering over the top in loud fashion) there are some more melodic world music meets space elements in place. It works out to powered up fusion meets space later. This thing just keeps evolving. Space rock meets RIO weirdness later. Further down the musical road the bass gets seriously funky for a time. Space music with screaming opens this. It works out gradually from there. While Copernicus spits out the lyrics, this grows out to a chaotic, but quite cool, space rock turned RIO arrangement. An incredibly low bass note starts this. Then Copernicus starts to speak unaccompanied. As he continues, Hawkwind like sounds gradually rise up from the backdrop. This is the “Sonic Attack” kind of Hawkwind sound, though. After a time, a more integrate space rock groove takes over from there. The loops and other sounds that open this call to mind the sounds that might exist in Dante’s version of Hell. After that, though, an insistent building bit of RIO meets space takes the piece. There’s a segment later where the voice is slowed down and then sped up and those tortured sounds from the beginning return. This thing is weird, but also cool. It even gets some harp sounds in the mix later. There is a lot of sound manipulation in this. It gets a little annoying in terms of all the repetitive loops, though. Some spoken introductions start this. Then they build out from there in an almost funky groove. It’s sort of sparse at first and the space sounds build from there. It pounds out pretty heavy for a while. Then it seems to end. However, instead it’s just a reprise and they bring it right back in from there. The next time it stops, though, they really end it. This is a rather odd piece of music. It’s mostly just piano and the voice. At least, that’s true for the first four minutes or so. It gets some other musical elements, mostly percussive after that point. Then, within the next minute other sounds come in and the piece gets more chaotic and crazed. Then it eventually crescendos and lets us out to a jazz sort of sound. It wanders from there, though. Weird old time music is heard as this continues. Then more crazed freeform noisy weirdness takes over. More strange jazz emerges as this works forward. It just keeps changing and gets even more bizarre.